Cook pasta as package directs, rinse, drain and set aside. If using whole shiitake, remove stems from the shiitake, discard and slice the cap. Reserve shiitake soaking water. Prepare the broth by placing the kombu, shiitake, shiitake soaking water and water in a pot. Cover and bring to a boil. Reduce the flame to low and simmer 4 to 5 minutes. Remove kombu. Add shoyu, bonito flakes and mirin. Simmer 3 to 4 minutes. Serve broth over pasta. 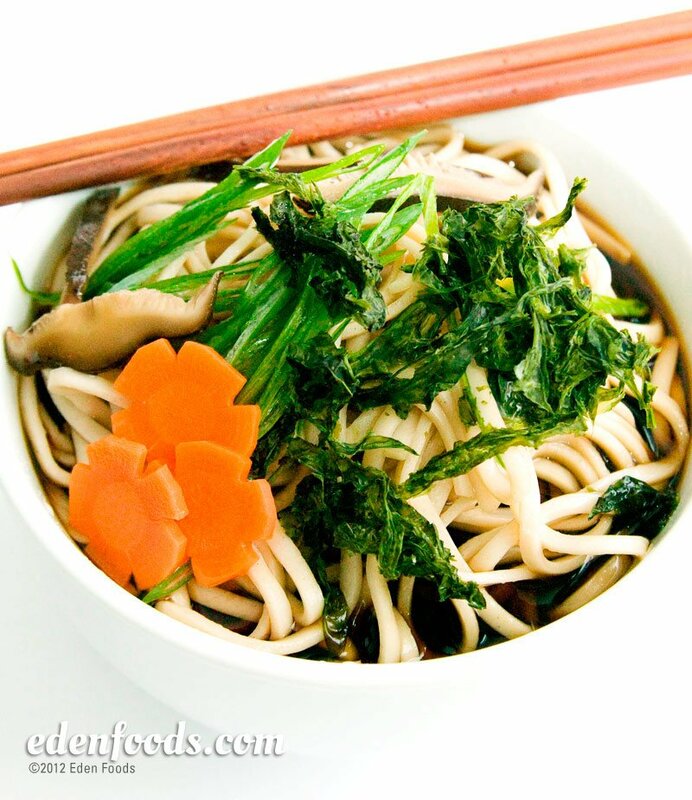 Garnish each bowl with nori and green onions. In warmer weather, the broth may be chilled before serving over pasta.